Auto shows are the perfect places to spot some futuristic concepts. Now that the 2018 Paris Motor Show has commenced, we are hopeful to see some exciting new production spec cars and concepts being displayed at the event. Speaking of concepts Skoda has unveiled their new five-door hatchback called the Vision RS at the show after they took the covers off the sportier variant of their 7 seater SUV Kodiaq RS SUV. 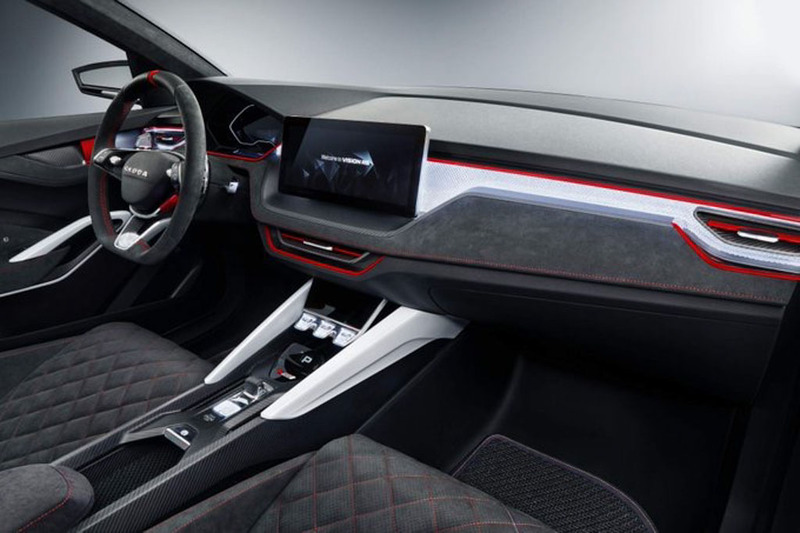 The Skoda Vision RS is a five-door hatchback which is perhaps giving us a sneak peek of what they have in store for their customers in the future. There is no doubt that Vision RS definitely looks like this could actually be the successor of the Rapid. When this car will make it to production it will rival the likes of Volkswagen Golf and the Ford Focus. The sharp lines and creases do give us a hint that Skoda perhaps has showcased the sportier RS variant of the Rapid which will take on the GTI and ST rivals. The Vision RS concept showcased at the show is 4,356 mm long, 1,431 mm tall, 1,810 mm wide and has a wheelbase measuring 2,650 mm. The concept car is quite long, lower and wider than the existing Rapid Spaceback. Expect the production-spec car to carry the same dimension and should get an impressive amount of cargo space at the rear which will also be more than the former car. 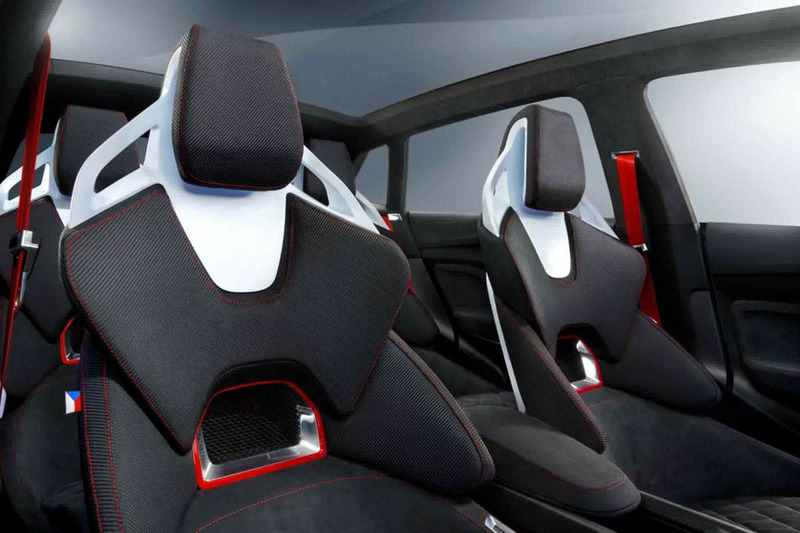 However, the best part of the Vision RS is that it is actually a Hybrid hatchback. 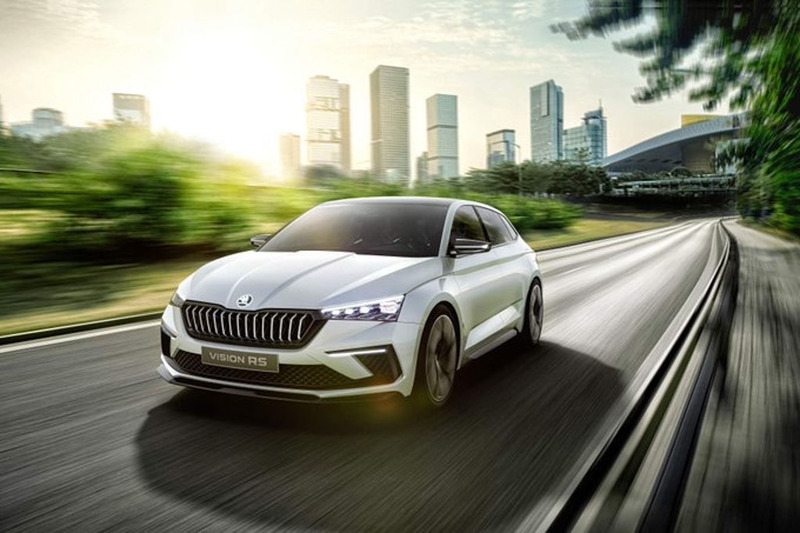 Skoda has combined their existing 1.5-liter TSI petrol engine with an electric motor and together this car produces around 241 hp. All these power helps the hot hatch to sprint from 0-100 kmph mark in just 7.1 seconds while it has a top speed of 210 kmph. The electric motor uses a 13 kWh lithium-ion battery pack which can be fully charged in just two and a half hours giving the hatch a range of around 70 km. With all the figures right in front of your eyes the Skoda Vision RS surely looks promising in terms of both performance efficiency figures. We would definitely love to see the car on the European Roads within the next few years.